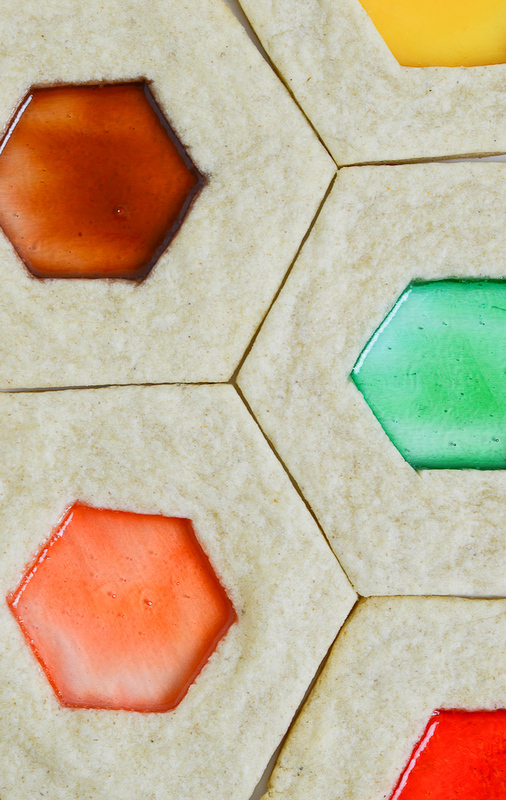 I became a fan of stained glass cookies back in ...2008? 2007? Maybe before then? My memory is crap but the point is, they've been on my favorite list for a long time now. I immediately had to try 'em out after spotting them in a Martha Stewart magazine and I've been making them ever since to include in my Christmas Cookie Box. Geez...I've never really thought about how many times I've made this cookie. It's been quite a few times. Always experimenting with different sugar cookie recipes and different candies, but always ending up with a tasty end result. Now even I have to admit that I can only eat about one whole cookie and then for the next cookie (shutup. like you eat just one! ), I usually eat around the candy so I don't have to worry about it getting stuck in my teeth. Yup, that would be one of the many annoying concerns I now have as I get closer to 30. Dental health. How lame is that? I mean not that I never cared before but I miss the days of eating candy without a second thought. But you know who couldn't care less about getting candy stuck in their teeth? Kids and grown men. You're probably thinking, yeah I get why candy cookies get the kids all amped but grown men? Yeah, I don't get it either and it caught me off guard but I speak the truth. Grown men love candy cookies. Some grown men just don't care about cavities. I've experimented with a few different candies other than jolly ranchers. I've tried life savers, lemon heads, butterscotch, and candy canes to name a few. Not all of these candies are on the accidentally vegan list so if you want to keep them vegan double check the list or just trust me and stick to the jolly ranchers. 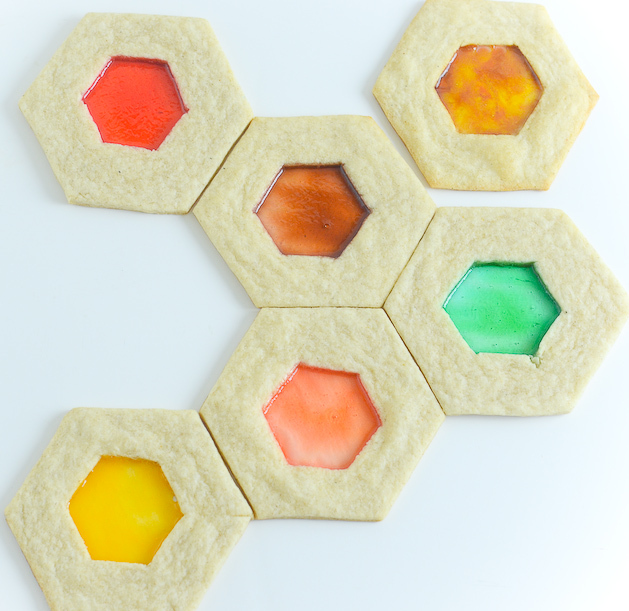 NOTES: You can make these into whatever shape you want. I love thin sugar cookies but the thinner you go the more difficult your cookie can be to work with and you risk having candy splatter marks along the edge of the inner shape. I stick with about 1/8-1/4 inch thick. The orange juice is optional but I do recommend adding some kind of citrus like lemon or lime. I went with orange juice since they are in season. Depending on your shape you may need to crush the candy. 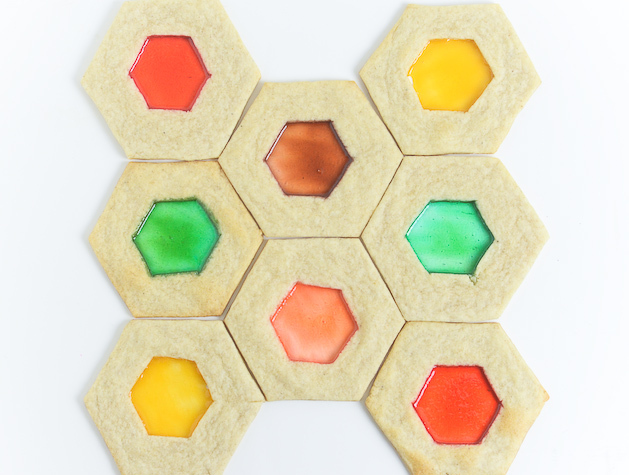 For the shape used on the cookies pictured, I had a very easy time just placing the candy as is in the middle. If you are using a more intricate shape with more detail and nooks, crush the candy by placing it in a plastic bag and hitting it a few times with a hammer or rolling pin. You can do a tie-dye effect by adding different colored crushed candies! I have two versions of this recipe for you today! Both delicious, one vegan. If you live in Austin you may have caught me on Fox7 showing you how to make these cookies! My armpits were sweating like you wouldn't believe the entire time I was recording this segment but it was fun!! In a medium bowl, combine flour, baking powder, and salt-set aside. In the bowl of an electric mixer on medium speed, beat sugar, butter, and vanilla until light and fluffy-about 3 minutes. Add eggs one at a time beating well to combine. On low speed, add flour mixture. Add fresh orange juice. Wrap dough in plastic wrap and chill in the fridge for at least 45 minutes. Preheat oven to 350. Roll cookies to about 1/8-1/4 inch thick. Cut out inner shape. 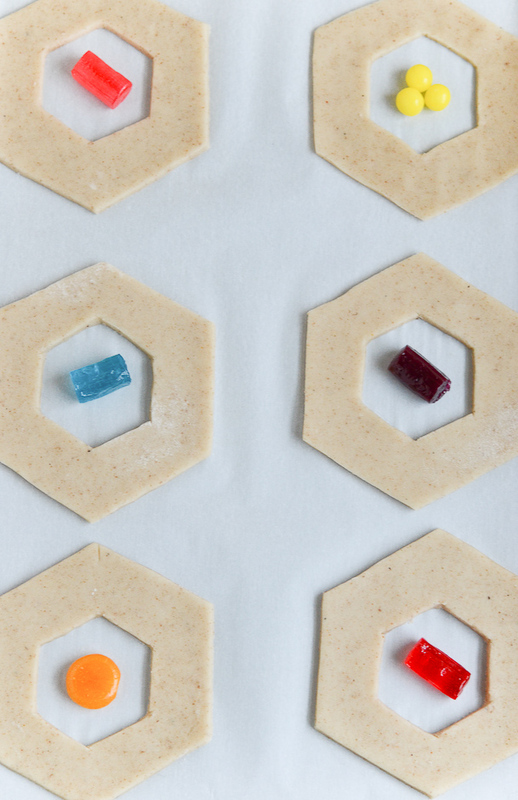 Place candy in the middle of the cookie shape and bake for about 10-13 minutes or until corners are lightly browned. Let cool on the pan for 5-8 minutes before placing them on a cooling rack. Mix ground chia seed and water in a small bowl and set aside. In a medium bowl, combine flour, baking powder, and salt-set aside. In the bowl of an electric mixer on medium speed, beat sugar, butter, and vanilla until light and fluffy-about 3 minutes. Add chia "egg" and mix to combine. On low speed, add flour mixture. Add fresh orange juice. Preheat oven to 350. Roll cookies to about 1/8-1/4 inch thick. Cut out inner shape. 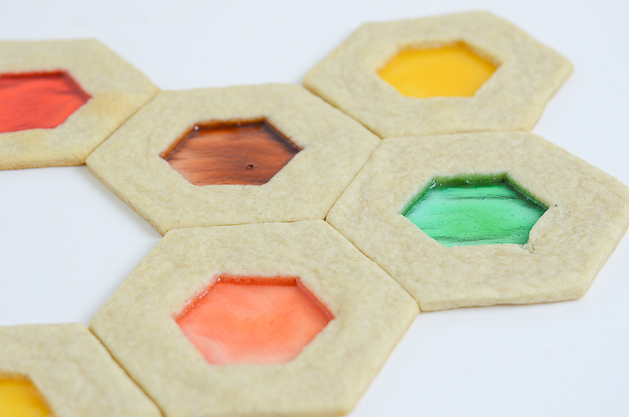 Place candy in the middle of the cookie shape and bake for about 10-13 minutes or until corners are lightly browned. Let cool on the pan for 5-8 minutes before placing them on a cooling rack. Check and make sure the candies you are using are vegan!! Wow, this is amazing and so beautiful! It would be great for a party - thanks for the cool idea! Looks really nice, I have to try this! Yes, that really looks good and kinda fun!